All items are shipped from our distribution center in Sydney Australia. They are carefully packed by us and shipped using Australia Post who have been shipping items for over 200 years. Tasteful Delights have been supplying Australian Conectionary for nearly 20 years, initially from a bricks and mortar store in the southern suburbs of Sydney and now online to over 190 countries. 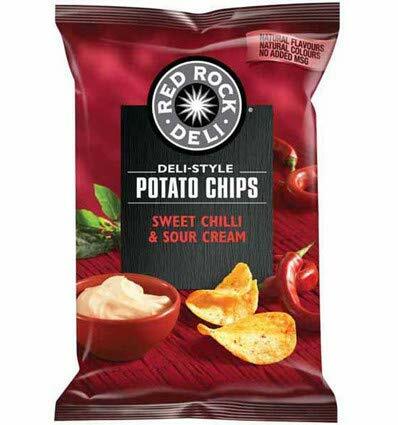 If you have any questions about this product by Red Rock Deli, contact us by completing and submitting the form below. If you are looking for a specif part number, please include it with your message. Kettle Maple Bacon Potato Chips, 8.5 Ounce - 12 per case.